Dancing England update 23.05.16 where crowdfunding reaches £1120 and the teams list is now taking shape. Your generosity and belief in the Dancing England reboot is astounding. 29 people have contributed £1120.00 in less than 14 days, that’s 56% of our total! Thank you so much to all of you. You can see where we’re up to, and make a contribution, by clicking this LINK. A £40 Patron contribution gets you a guaranteed ticket with early entry and a programme. Plus a very warm, fuzzy feeling knowing that you’ve helped this event rise again. You could also contribute £10 (Supporter) and end your glorious days on this earth with the sure knowledge that you’ve assisted in rebooting Dancing England. Please do consider contributing to the event. We would be so grateful. Phil Heaton has been busy beavering away putting together a list of teams and sides that we want to invite to the 2017 Dancing England event. The list is looking very strong, and very entertaining. We’re planning an excellent mix of the Traditional and Revival, with certain teams being tasked with working together. 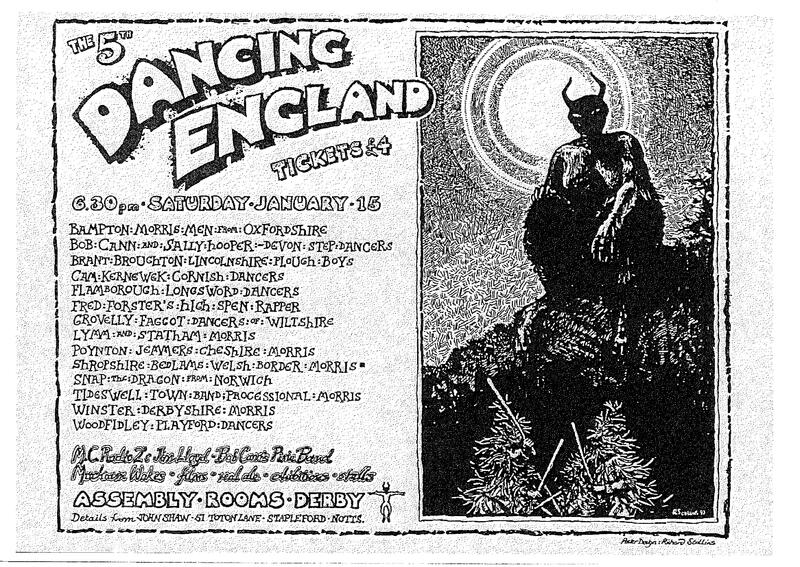 We’ve some old favourites from Dancing England’s past plus some new, younger teams certain to delight and entertain. 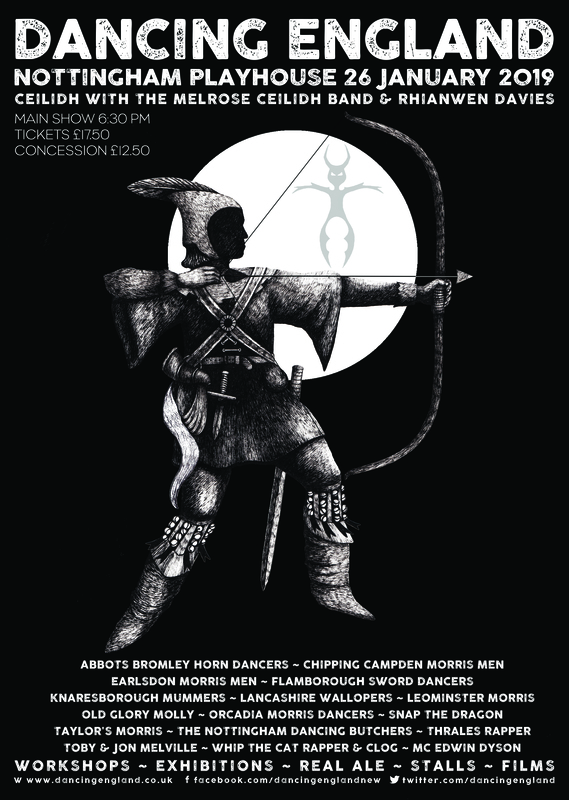 There’s some cracking rapper on the list, excellent North West and Carnival Morris, Cotswold from the Cotswolds, clog dancers, Longsword from a team rarely seen, some Mumming, Molly, something unique and very English and a couple of folkloric customs not many of us have seen. Plus some fantastic jiggers and more. Its shaping up to be a tremendous show! Now to get busy inviting these teams and persuading them to take part. 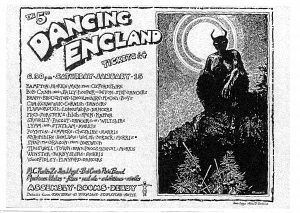 Be the first to comment on "Dancing England update 23.05.16 where crowdfunding reaches £1120 and the teams list is now taking shape."